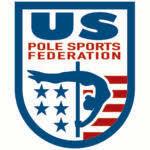 Pole Expo — If you could travel anywhere in the world where would you go and why? Machu Picchu; lost city of the Inca's in Peru. The more I've traveled the more I realise many cities are quite similar - the only attractions cities have to me are urban comforts (such as adequate train systems), special people, and great training. I am most interested in being places like Pole Dance Academy Sydney with Shimmy and Maddie Sparkle, New York City to train at Body and Pole, and Phoenix, Arizona where my boyfriend Francois lives as well as a dear friend and first annual Pole Classic Champion Lindsay Green with her beautiful new Prowess Pole Fitness location. I would always choose to travel home no matter where I am. With my family is the place I love to be the most. Plus where I live in Florida is paradise! If I could go anywhere in the world I would go to Tahiti. I have never been there and have always wanted to. I love relaxing on the beach, getting a tan and eating tropical fruit. Plus, everyone needs a relaxing vacation from time to time. First of all I’d like to visit another planet, but it's not possible to do soon. Next to visit Atlantis, but nobody still didn't find this place. Now more seriously, I've been three times in Japan, and I would love to visit this amazing country again. There are a lot of reasons such as: culture, lifestyle, nature, cuisine etc. But honestly in our world so many wonderful places and sometimes they are really close to all of us. Europe in general has always felt magical to me. I love everything about the countries being so close together, people speaking 3+ languages, the different cultures, landscapes, lifestyles, and all the history. I’m looking forward to visiting again, many more times. This is a tough question! I love to travel and I love so many countries for different reasons. I recently passed through Iceland and wished I could stay longer to go see the Northern Lights. I'd love to return to Bali for its peaceful beauty. And Mexico has been a favorite place for some time now, for the beauty of the country but mostly for the people. I love my Mexican pole family! I would travel to OZ!! It’s always been a dream of mine to travel to Australia to watch the Miss Pole Dance Australia competition! It’s such an amazing show and competition, and there is nothing like it in the states!!! Simply, if I could travel right now I will choose to fly to my lovely family, give them tons of hugs. I would tell them how much I love them no matter time and distance. Being a gypsy pole dancer is an incredible experience full of amazing meetings and adventures. Sometimes it is also good to come back to the Base. Looking forward to it. At the very top of my list is to visit Iceland. I've been obsessed with this country ever since I was a moody 12-year old obsessed with The Sugarcubes. I admire the country's resilience in the face of such a harsh climate, its high literacy rate, vibrant music culture, and its in-bred eccentricity. Madagascar really interests me at the moment with its diverse geography, wildlife and culture. It's a place on the planet unlike any other and many animals that inhabit this island country are found nowhere else in the world. I'd like to learn more about it through experience and maybe one day be able to help protect it from human destruction. Machu Picche - lost city of the Inca's in Peru.